I think the most commonly used zucchini in Mexican cooking is either what in Mexico is called the calabacita italiana, or Italian zucchini, or the calabacita bola or round squash, which is similar to the Italian but rounder and smaller and used a lot in French cooking. 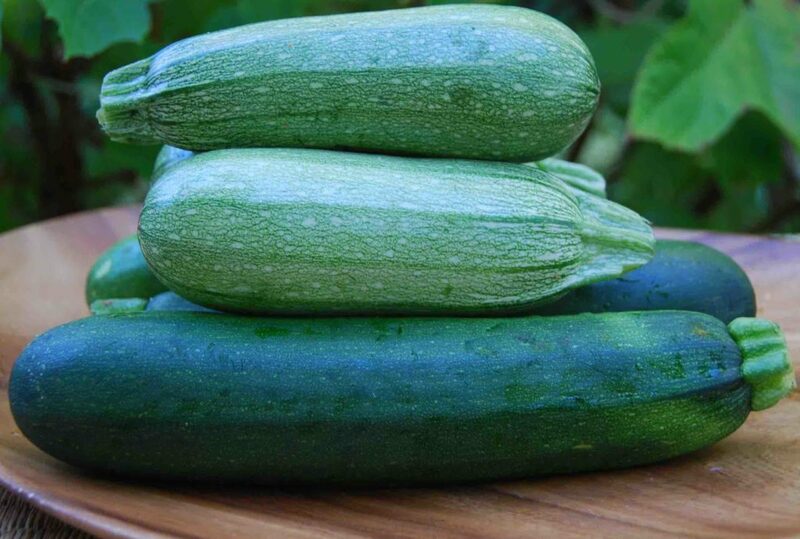 Italian zucchini is different from the regular green zucchini found in most US stores, in that the later is large, thick and has a uniform dark green color. 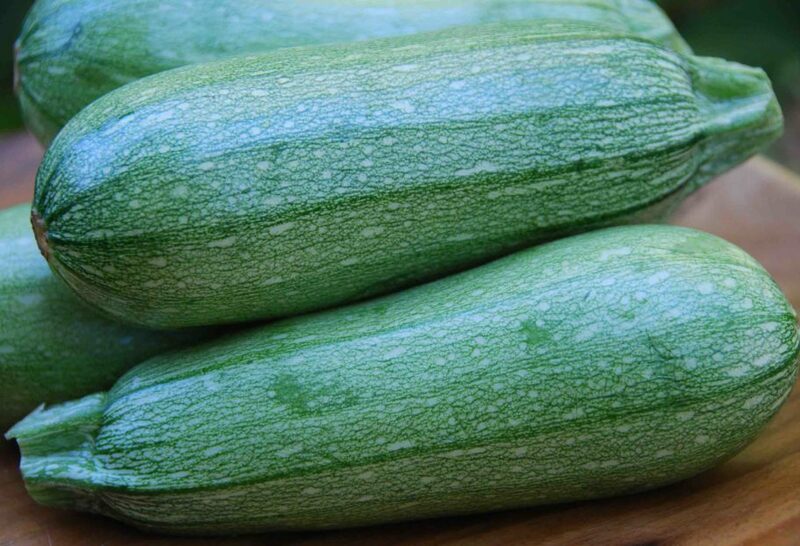 The Italian zucchini is smaller, a bit rounder with a chubbier appearance, and has a lighter green color that is randomly speckled with a cream color and is milder and sweeter in flavor. See the Italian zucchini pictured above. As the years have gone by, I have seen them more frequently at international and Latino stores as well as some Farmers Markets here in the US. Below see the Italian zucchini on top of the regular green zucchini so you can compare its looks. Now you have to bring them home to taste the differences (!). Though you can substitute one for the other in recipes, the Italian is a bit milder and sweeter. My mama made a calabacitas dish that we just called a Mexican Succotash..It is chopped zucchini, chopped onions, chopped tomatoes, garlic, and a can of corn boiled with salt, pepper, comino, oregano and when its done, she;d throw in a cup of cheddar cheese…I make it often and remember my mama.I love it! I’ve been searching your archives for calabacita italian soup with leeks. . . .in what archive should I be searching? It made our mouth water for a taste. I love your show and your e-mails! My friend and I went to a local Mexican restaurant and had a side dish named calabacitas. I was basic but there was a seaconing or sause that made it so delicious. Do you have a recipe for this dish? Thank you in advance and please keep up your wonderful programs and e-mails. Hi Lorraine, I have a version of calabacitas in my huevos rancheros recipe: http://patijinich.com/2014/01/huevos-rancheros-with-zucchini/. It’s the salsa; you can make it without the huevos for a side dish!